Matthew is a terrific player. He’s on the last year of his contract. We’ve said all along, our goal is to get him signed obviously before the start of next season. Nothing’s changed in that regard, we’re going to continue to see if we can’t get something done. Both Matthew and us know the most important thing right now is the play on the ice of the team, and Matthew’s play. We’re trying to limit any distractions so that the sole focus can stay on the games ahead of us, but certainly it’s priority one for us to get him signed to a new contract, and we will. Tkachuk, 21, is one of a number of talented players coming up on restricted free agency at the end of the year, and could very well wait to see what his contemporaries sign for before putting ink to paper. The entire league just watched a long negotiation between the Toronto Maple Leafs and William Nylander result in a hefty long-term contract, and most will want to avoid that type of situation. While Tkachuk’s first two seasons didn’t have the same sort of offensive totals that Nylander did, he’s off to an outstanding start in the first half of 2018-19 and could very well set his asking price extremely high. 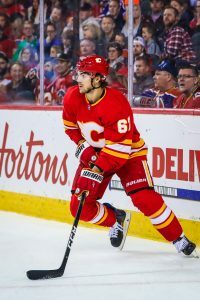 The physical, talented winger was selected sixth overall in 2016 and had an immediate impact for the Flames, recording 13 goals and 48 points as a rookie. His total increased by just a single point in his sophomore season due to playing just 68 games, but this year Tkachuk already has 41 points in his first 36 games. That kind of output could very well put him in another category of contract, one that the Flames will have to carefully plan over the coming months. While he may call it a priority, it’s also important to note that Treliving and the Flames have never rushed before in their contract negotiations. 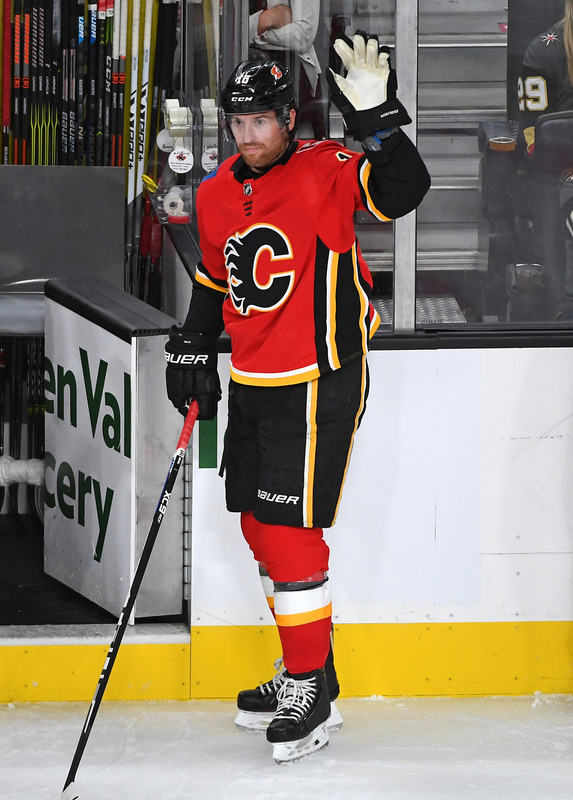 Johnny Gaudreau inked his second contract on October 10th, 2016, just two days before the season began and Sam Bennett waited until September 2017 to sign his two-year bridge deal. Perhaps the team will want to avoid that delay with Tkachuk, but won’t put themselves in a place to get pushed around given that they don’t have unlimited cap space going forward. The team already has over $67MM in commitments for next season, which doesn’t include a new deal for Bennett or an extension for one of their current goaltenders.